All of the churches, including the DEAF CHURCH, who use and promote Fairtrade products were given certificates. 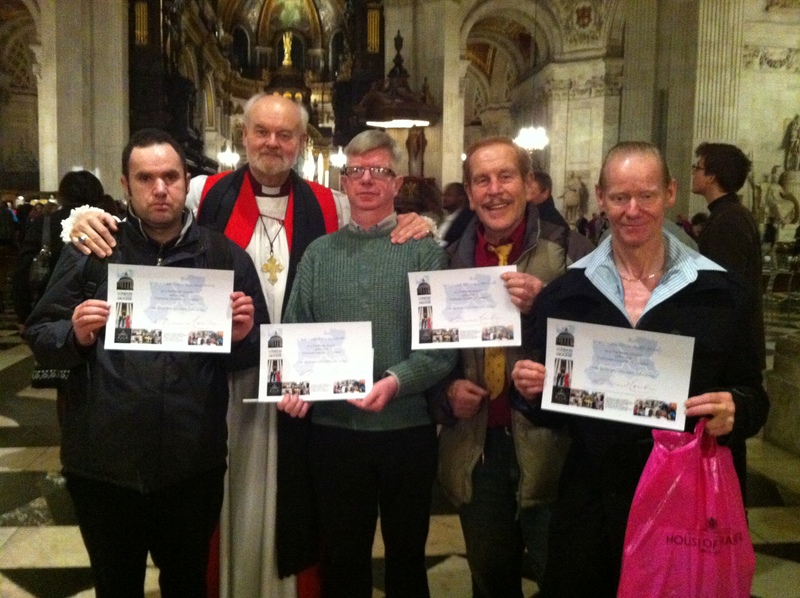 You can see the Bishop here, with some of our members and the certificates. The certificates will be put in each place where we meet for Deaf Church – Hayes Deaf Club; St Saviours, Acton; Holy Trinity, Hounslow; St John’s Deaf Club, Green Lanes; and Enfield Baptist Church. But what is FairTrade? It is the process of buying goods directly from producers in developing countries at a fair price. When you buy something FairTrade you know you are helping farmers, growers, producers and their communities. It really does make a difference! So the Deaf Church try to use only FairTrade coffee, Tea, Sugar, Chocolate etc. whenever we can.